Nestled within and along the borders of every country in the world are surreal natural destinations that draw the attention of awe-struck visitors. The pristine waters of the Great Barrier Reef in Australia, the majestic peaks of the Himalayas in Nepal, and the breathtaking plains of the Serengeti in Kenya, being three such examples, illuminate the world’s seemingly endless variety of intoxicating places. Undoubtedly, whenever we have the chance to take in truly breathtaking landscapes such as these, we feel an immediate sense of inspiration, rejuvenation, gratitude and peace. Yet still, opportunities to visit the world’s most recognizable natural wonders don’t often come around and typically present themselves with swarms of crowds eager to snap photos of earth’s natural beauty. While the world’s truly awe-inspiring natural destinations like the ones listed above, in addition to others like the United States’ Grand Canyon and Iguazu Falls in South America, are certainly deserving of the acknowledgment they receive, it is all too unfortunate that most of us don’t realize that we can attain the same life-affirming benefits from nature in our own backyards. For those living in the United States, for example, there are not only 59 breathtaking national parks but also thousands of state parks that individually have their own unique charm. Instead of exploring these lesser celebrated wonders of the world and reaping the rewards that come with each visit, however, most people choose to spend all of their time indoors connected to the stress-inducing technological world. For reasons such as these, and others we will discuss throughout this article, it should become apparent to see that there may not be a more under appreciated personal practice than unplugging in nature. 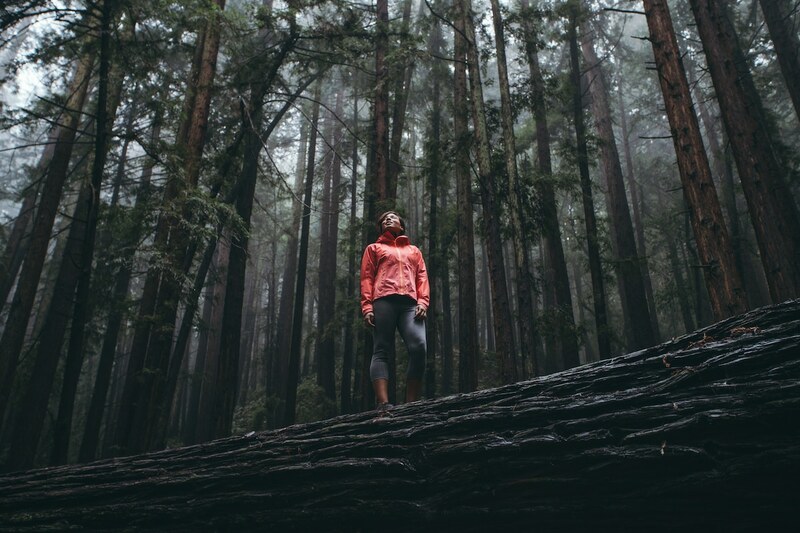 In addition to these prudent perspectives from historical giants, modern scientific research has similarly shown the immense health benefits individuals attain from spending time in nature. In two important studies conducted at Stanford University, for example, researchers were able to determine that spending time in nature reduces rumination, positively effects mood, improves cognitive function and dampens symptoms of anxiety. Due to these benefits, and also because of the continuing urbanization of the world, decorated scientists and environmentalists have created non-profit organizations, such as the Natural Capital Project, dedicated to researching nature’s life-affirming effects and disseminating information to the general public. While the likes of Emerson, Tagore, Einstein and Muir never had the opportunity to live in the technologically advanced societies of today, modern psychological research has gone to great lengths to show the downfalls that come from living with an endless variety of enticing digital stimuli. Of course having continual access to the rest of the world comes with benefits, but the ways in which individuals use their televisions, tablets, and smart phones generally limits their levels of subjective well-being. Statistics tell us that the average American devotees over ten hours each day to ‘screen time’ activities such as surfing the internet, watching T.V. and playing video games. Unsurprisingly, a wide variety of similarly problematic data related to topics such as obesity, mental health and levels of subjective well-being can undeniably be connected to excessive amounts of of screen time. Researchers have additionally shown how spending time on social media networkers like Facebook doesn’t make users feel good about themselves and also how being overly connected to work increases individuals’ already dangerously high levels of stress. One of the clearest ways to reverse the problematic effects that come as a byproduct of being constantly connected to the world through digital means is to unplug ourselves from society as a whole. No, this doesn’t mean we have to swear off technology for weeks at a time, but rather commit ourselves to regularly putting the tablet down to limit the negative outcomes that come from excessive amounts of screen time. By turning our phones and TVs off, we can become more adept at monitoring and regulating our emotional, psychical and mental states. Additionally, by cutting ourselves off from technology for an hour or two each day, we can consciously work to replace feelings of stress, envy, jealousy and low self-confidence with more fruitful alternatives such as gratitude, acceptance and happiness. It should now be apparent to see how each and everyone of us can attain a variety of life-affirming benefits by developing just one of the two habits we’ve examined thus far. Yet still even better, when we fuse the two personal practices of spending time in nature and unplugging from technology together, the benefits we attain proliferate in immense ways. By making the commitment to unplugging in nature, it is certain that our understanding of ourselves and the world at large will vastly expand. Additionally, by regularly spending time outdoors disconnected from the outside world, each of us can increase our levels of gratitude for the wonderful gift of life while enjoying the process of natural rejuvenation. With that being said, let us now look at a number of important things to keep in mind for those interested in developing the habit of unplugging in nature. How to Develop Life-Affirming Habits: As the vast majority of us know, replacing troubling habits with life-affirming alternatives is usually a gnawing process filled with setbacks and failures. Unsurprisingly, especially for those who have become overly reliant on technology and conditioned to behave in lazy ways, developing the habit of unplugging in nature will be one that takes time. Fortunately, there are a number of important pieces of advice that you can follow to help with the transformational process. First, since it is certain that you’ll experience a nagging desire to stay at home or bring your phone with you while you enjoy your time in nature, it can be helpful to develop mindfulness and learn some thought-challenging strategies found in Cognitive Behavioral Therapy. Second, because the process of behavioral transformation is one that takes time, it’s important to use your missteps as nothing more than opportunities to offer yourself compassion and learn from the mistakes. Third, no matter where you are starting from and where you want to go, your best chances for successful developing the habit will be to limit yourself to small manageable steps. Lastly, whenever you do take the time to unplug in nature, it’ll be important to reflect on the experience and remind yourself of the life-affirming benefits you receive. Finding the Right Activities: Another important piece of advice to remember when setting out to develop the habit of unplugging in nature is that it’ll be imperative to find activities that suit your needs. Because each one of us has a unique combination of age and fitness level, while also living in different natural settings, it’s vital to find the outdoor activities that we most enjoy. Fortunately, thanks to the earth’s natural diversity, it is certain that we can discover a wide variety of ways to attain the life-affirming benefits of nature regardless of if we live next to the ocean, on the foothill of mountains or in the desert. It’s also important to point out that while highly exerting outdoor activities are certainly good for physical fitness, unplugging in nature is really about reflecting on the gift of life and developing acceptance and gratitude. If you are struggling to think of suitable activities, here are a few examples; sitting next to a lake, hiking in the woods, walking on forest trails, relaxing at an ocean lookout, snowshoeing in winter, and watching the sunrise or sunset. Walking Meditation: Just as the benefits of spending time in nature and unplugging from technology have been widely verified by scientific research, so to have the benefits that stem from meditation practice. While meditation is most commonly thought of as a sitting practice, spiritual leaders around the globe have long been teaching a variety of meditative activities that help individuals incorporate the practice into their daily routines. The practice of walking meditation, which can easily be incorporate into the routine of unplugging in nature, is one such activity that’s taught by a number of revered Buddhist monks. If you are interested in learning about the practice of walking meditation, you may want to take a look at the teachings of Thich Nhat Hanh. Moreover, it should be mentioned that if you’re able to find a suitable perch, it’s certainly possible to bring a more formal meditation practice into nature. Who is the Caretaker of Your Mind, Body, and Soul?